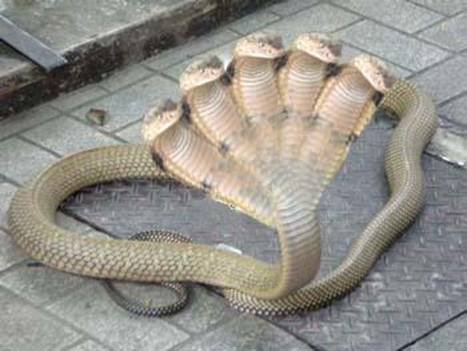 Many mythologies like Hindu, Chinese, Greek,etc has references to such a 5 headed snake in their epics. 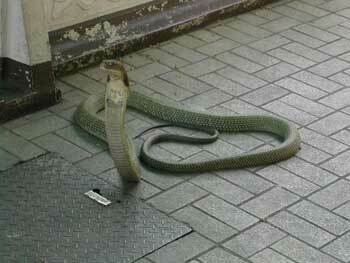 We have so far read about such a snake only in historic stories and epics . I'm sure it will be surprising to most of you as much as myself, to see such a rare species still being alive. 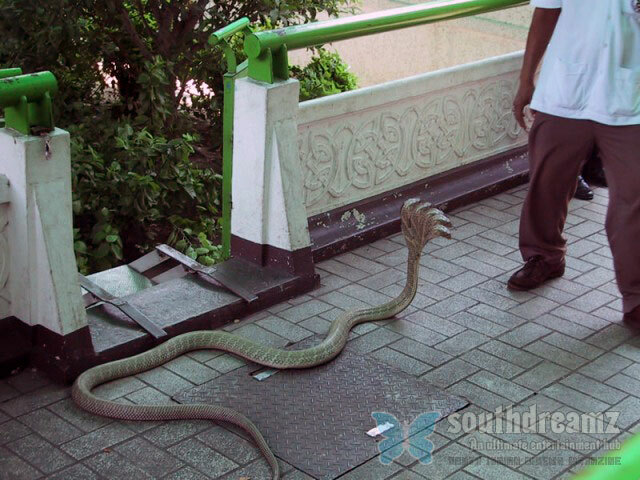 Messages that are currently circulating via email, blogs, and social networking websites, claim that set of attached images depict a "rare" five-headed Cobra that was found at Kukke Subrahmanya, a Hindu temple located about 105 km from Mangalore in the state of Karnataka, in southern India. There are two main versions of the messages that contain a different set of five-headed snake images. 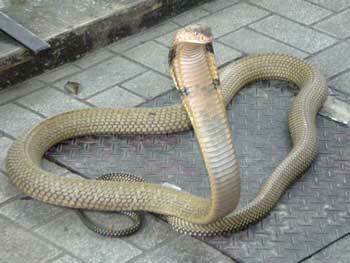 Both versions claim that the snake was found at Kukke Subrahmanya. The second image in the second example above, may also be a manipulated photograph. However, the strange colouration and shape of the "snake" suggest that it may actually be a model or a toy that has been placed in the water for the photograph. 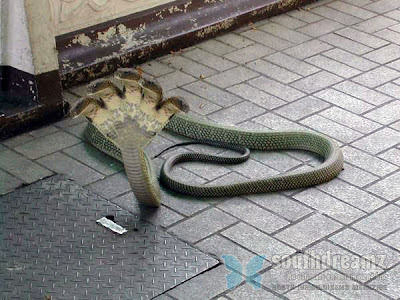 Moreover, although the message suggests that the two images show the same, five-headed snake, it is very clear that the second image does not depict the same snake that is shown in the PICTURE.